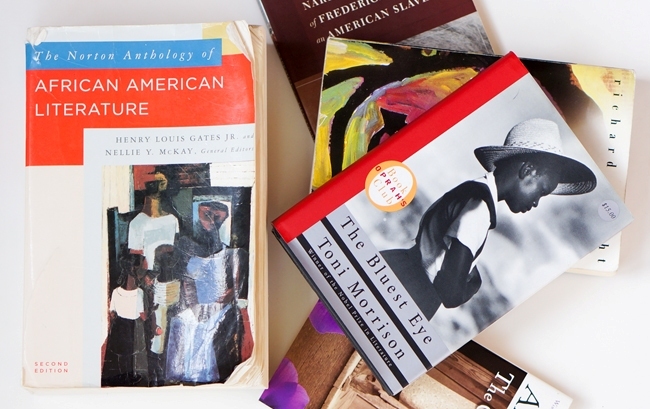 What can we learn about African American literary studies -- where it's been and where it's headed -- by taking a look at what the field's newest scholars have produced, namely, their dissertations? That question has been driving my recent searches on ProQuest Dissertations & Theses Global, an incredibly expansive database with more than 4 million documents. For one, I noticed the growth of the field based on the increasing numbers of references to major African American writers and scholars in dissertations from 1960 - 2018. In addition, I observed increases in key terms such as "African American literature," "black literature," "Harlem Renaissance," "Black Arts Movement," and so forth. The growth moving toward the late 1990s stands out, but also the similar trajectories of "African American literature" and "Toni Morrison" are prevalent as well. The specific numbers, though, are different. There are 1,054 dissertations that mention "African American literature, while there are 2,137 dissertations that mention Toni Morrison between 1980 - 1999. I suspect several factors account for the perceptible growth, including the expanded numbers of professors with training in African American literary studies working at universities. In addition, scholars outside the field were likely introducing and encouraging their students to write about African American literature more than had happened in the past. I am so pleased to see this research! I knew that the 90's was a watershed period for AFAM writers, and that Morrison was a large part of that. I was surprised, though, to see how many dissertations were done on Morrison. Another indication of her reach, I think.